!!!! £7 pound on the door all night !!! 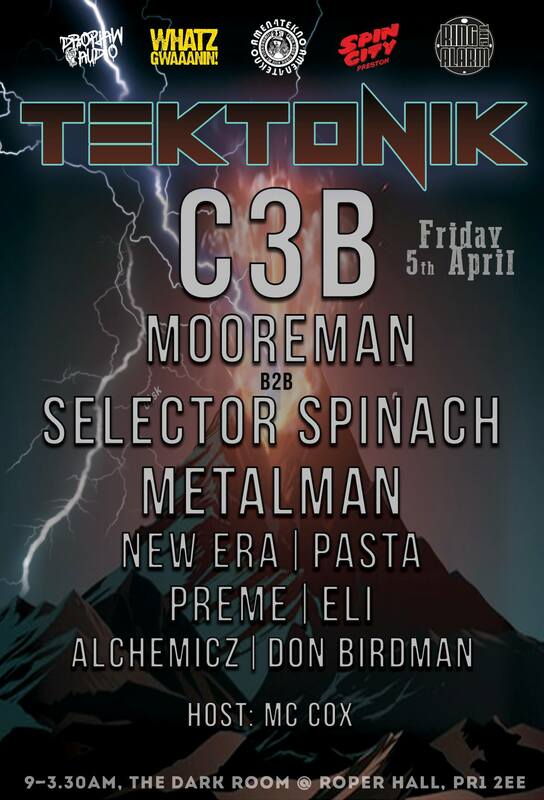 The 2nd Installment of Tektonik has arrived and I have a serious lineup for your all!! I look forward to seeing all your wonky faces on the dance floor, Big Up!! C3B – Amen4Tekno – All the Tek Goodness maybe some ragga too!! Metalman – Local DnB Legend (The nicest man in drum and bass) dubplates galore. Preme (Trifekta Sound System) B2B Eli – This set will be mad. Different styles mixed together, may turn into a VS. Host: Mc Cox – A true Blue. Liverpools finest, got bar and pars for days!